One of the joys of doing records the old way – on vinyl – is doing them the old way with a new twist that was never possible in the old days. Twice now we’ve had the opportunity to take this idea to the extreme, teaming up to collaborate with DJ software giants Serato. 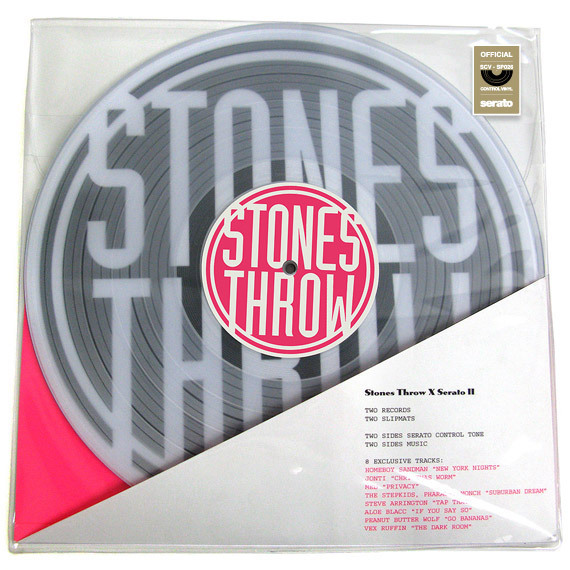 Our latest release, simply titled Stones Throw x Serato II, combines two discs on clear vinyl with music on two sides, Serato Control Tone on the other two sides, together with two slipmats. Accompanying this release, the team at Serato has just added another element – the story. When some members of the New Zealand-based company were in Los Angels last, they caught up with Stones Throw founder Peanut Butter Wolf and put together a video & interview.